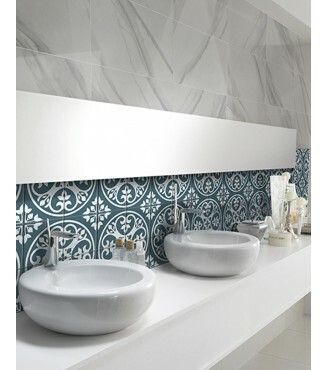 Unleash your creative genius with this masterfully designed and crafted decorative tile collection. Motif embraces the diverse nature of encaustic tiles and offers design combinations with beautiful floral patterns as well as geometric designs all available in 8"x8". We can’t wait to see what you will create with Motif. Please note: these items are not sold in sets. Each color grouping is randomly packaged in 25 pieces per box.